Chicago, Illinois - Attorneys Michael S. Keating and Alexander Loftus of Keating Law Offices, P.C. in Chicago, Illinois have been named to SuperLawyers Magazine's annual list of "Rising Stars." Each year, no more than 2.5 percent of the lawyers in the state receive this honor. The selection for this respected list is made by the research team at Super Lawyers. Super Lawyers, a Thomson Reuters business, is a rating service of outstanding lawyers from more than 70 practice areas who have attained a high degree of peer recognition and professional achievement. The annual selections are made using a rigorous multi-phased process that includes a statewide survey of lawyers, an independent research evaluation of candidates, and peer reviews by practice area. The list will be published in the annual edition of Illinois SuperLawyers Magazine and in the February 2014 edition of Chicago Magazine. Keating Law Offices founder, Michael S. Keating, was named to the "Rising Stars" list for the fourth straight year after also earning recognition in 2011, 2012, and 2013. Keating Law Offices Attorney Alexander Loftus was including in the “Rising Stars” list for the first time last year. The Keating Law Offices attorneys were nominated by fellow attorneys and that nomination was reviewed by an attorney-led research team that reviews the credentials of potential candidates and assigns points based on a set of defined evaluation criteria. The point totals from the general survey and research process are then added to arrive at a final tally. "The "SuperLawyers" awards are always particularly rewarding because they are based in large part on the opinions of fellow lawyers. I am very proud of the fact that Alex Loftus, who joined the firm last year, was again included on this list. 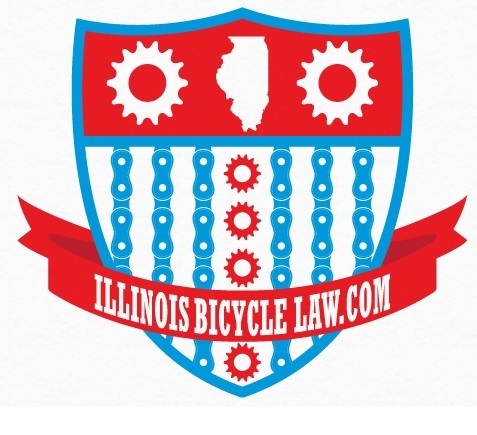 These awards reflect our continued efforts to provide our clients and the Illinois bicycle community with the absolute best possible legal representation and advocacy efforts." 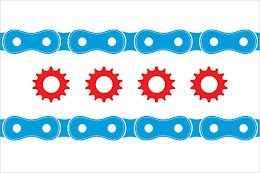 Keating Law Offices is the premiere personal injury firm in Illinois that concentrates its practice on bicycle related litigation. 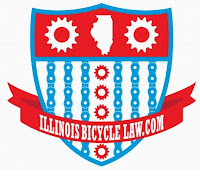 The firm is a national leader in the emerging field of bicycle law. Attorney Michael S. Keating is the Chairman of the Bicycle Litigation Committee of the American Association for Justice. The firm also successfully represents clients in personal injury and wrongful death cases stemming from transportation negligence, nursing home negligence and abuse, medical malpractice, premises liability and product liability.